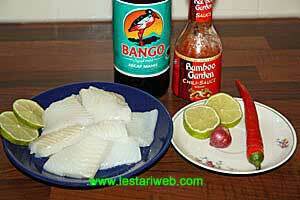 Tips : You can use different sort of fish but white fish fillets are much tastier. Cut the fish fillet into a rectangular shape. Put aside. Put all the marinating ingredients in a bowl and stir to mix. Marinate the fish and keep aside in a fridge for 15 minutes. Grill the fish in a grill pan. Turn it over to fry the other side until both sides are well cooked. Put all ingredients for the sauce in a small sauce pan and simmer it shortly just to get it warm. 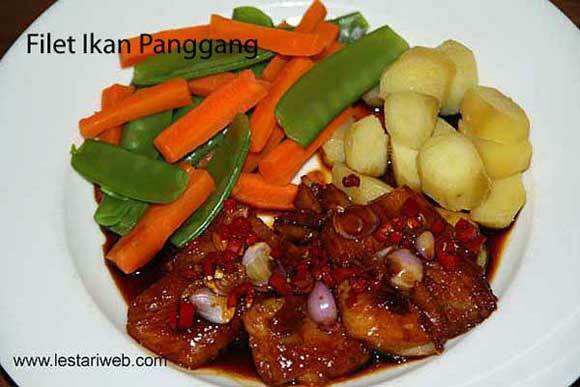 Serve the fish right away with rice or potato, sauce and salad.